Condo, 2 Bedrooms + Convertible bed(s), 2 Baths, (Sleeps 6). This is a beautiful 2 bedroom , 2 bath top floor unit at Maravilla Resort ,with breath taking views of the Gulf of Mexico . Newly updated and beautifully decorated You will love Maravilla's easy, laid back atmosphere and the beautiful view you will have from this two bedroom, 2 bath, pet-friendly condo that is waiting for you. This unit is non-smoking, sleeps a total of 6 with 1 king bed, 1 queen bed and a queen sleeper sofa in the living room. Destin FL Rentals, established 1995, serving many pet friendly families vacationing in the Destin area. Our accommodations are perfect for your beach vacation. Maravilla Resort condominiums is Located on beautiful Miramar Beach with it's emerald green water and sugar white sand. Destin is known as 'the luckiest little fishing village', well we have grown, but are still home to the largest fishing fleet in the Southeast. The amenities in Destin are many: Restaurants, galleries, boutiques, a shopping mecca, entertainment, theaters, spas. Beautiful golf courses flood our area. There are many family activities that are perfect for everyone, young and old. 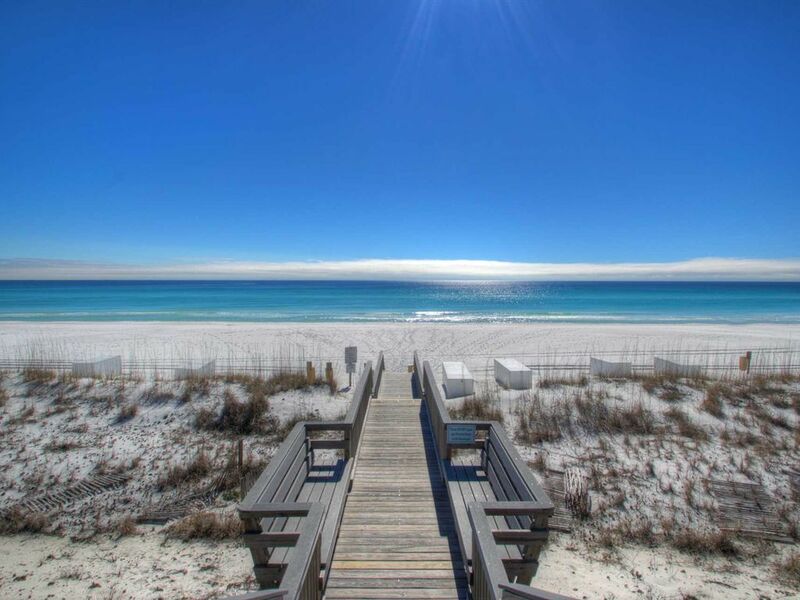 The things to do in Destin are endless and will satisfy all ages and interest. Lovely condo with an amazing view! Guest Bdrm didn’t have enough drawer space due to the fact that in removing comforter & shams, I had to put them on floor between wall & bed which blocked space to get to night strand w drawers. Rugs were slippery in bathrooms. Everything else was nice. We had a wonderful time in Miramar Beach! The condo was beautiful and stocked with everything one would need. It was so comfortable and relaxing! The view is breathtaking! Becki was wonderful to work with, very attentive and answered any questions we had very quickly! We also loved to be able to bring our dog. We are looking forward to returning next year! Our stay at Maravilla was perfect for our family! The property was clean, updated and the location can not be beat. Being able to just cross the street and be on the sand is priceless. We thoroughly enjoyed our week in this beautifully decorated condo. We especially enjoyed our morning coffee on the balcony watching the walkers on the beach. Maravilla is located within walking distance to several great restaurants. We would definitely rent this unit again on our next trip to Destin. We look forward to having you back ! Come see us in Paradise ! We come to Destin twice each year and usually rent a house. This summer we chose this condo. We thoroughly enjoyed ourselves in this condo. It was immaculately clean. It had every utensil that you could possibly need. There was no wear on the condo itself or the furniture. It was like new. It had a private balcony with a perfect view of the gulf. This condo is part of a very large complex. The condo grounds are very clean and well kept. Compared to other condos in the area, I would call this one upscale. We will try to get this condo again next year. I would recommend this condo to anyone who wants a clean well cared for property. It is in an ideal location for shopping and restaurants.